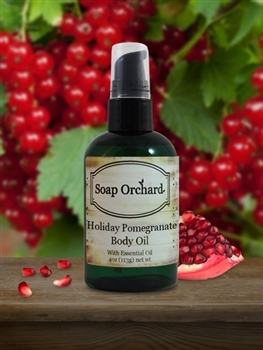 Enjoy the skin benefits of Pomegranate Seed Oil & Orange Essential Oil in this wonderful holiday collection! 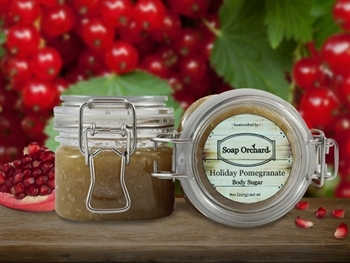 An enticing scent blend of Pomegranate, Citrus, Dewberry, Blackberry, Iris, Jasmine and Red Cassis. These holiday products have extra moisturizers and emulsifiers to give a smooth finish feeling on your skin. You will love the holiday garden freshness this collection delivers! 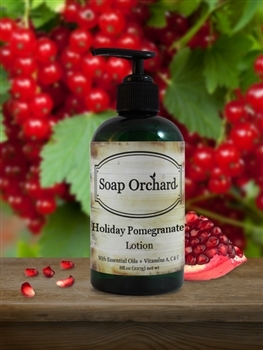 Pomegranate helps soothe dry and irritated skin. It’s content of Omega 3 fatty acids keeps the skin hydrated by sealing in moisture and can be benificial for oily and acne prone skin as well.